The group all attended the annual music festival, and liberal rights gathering. This year sponsored by AliensRFree, a radical group who's lead spokesman Karl Lutz has been given a great deal of media coverage, thanks to his particularly well researched and logic debating style. Welcome friends of freedom, and friends of the Sophonus Intergalactic University. We are not simply here to enjoy the excellent music, *stage whisper* we have plenty more of that in a few minutes *stage whisper ends*. We are here to day to celebrate our great an powerful *bumbling voice* Dean Quentin Siegal! Everyone, take your cup and raise it with me as we toast our University Dean! Then when it came to graduation and my final exams, suddenly I had to pay some made up fee for a guild. Of course I refused. But most of you paid it. And a few of you even got jobs. *heckle from the back* Aye flying dropships full of nobles into a warzone on the far side of the galaxy! True friend, the jobs were not free choice. The freighters stopped hiring crew after each voyage like they had always done. But lets think of the money, every student and even those who passed out before me they all got made to pay a guild fee. And where did that fee go? Did it go to new students, does it fund new talent and bring the poor up from the depths and take them on adventures in space. No friends... It lines the pockets of fat bureaucrats who sit in their high towers ! Zoe knew that this speech referred to the changes that the dean applied several years ago, the first drafts of the guild structure of later times. His first few acts as Dean, in the handful of years after his rise to the position were to establish the primary guilds. In doing that he excluded the Phavian Institute of Psychic Research, this loss was represented (or imposed in reaction to) in an intergalactic trend. It is no longer permissible to include a Psychic in any negotiations, where decades earlier this had been fairly common practice. *heckle* not bloody likely, I bet he's got real cabbage and actual meat. Aye good point friend. But, this shows that our opinion does get listened to. If we stand our ground, and we shout loud enough. Then our voice does get heard! So what is today all about? Well after the next band you'll hear from some of our speakers. Testimony from those who have suffered, like you I bet. And statements from those who have seen the evidence. And you will hear some pretty horrific details about some of the things the church has been up to this year. Anyway, now we have .. *whispers with the band* "forgotten jealousy" with a few numbers from their latest albumn, available at some of the stands over there *points to the left*, and over there *points to the right* and I think even right at the back too. *the band starts to wind up with a little feedback*. So hear they are "forgottenjealousywithasongcalledmishapenidentity". Hey everyone. How are all you guys? So you've probably heard the rumours, and you've probably heard some stories. The dean..
Has done something so bad that I bet you didn't even eblieve it when you first heard it. And I bet you didn't even believe it the second time either. So now your here. Well what's about to happen is I am going to tell you the truth. I am going to tell you all what has really been going on behind those closed wooden doors. These are all young people from the same background as the rest of you. Their parents pay their taxes and they eat the same kibble as the rest of us. They each paid their entry fee. Then they all headed off to university to do the entrance exams. Some of them didn't do so well. But the rest had the right level of knowledge. They said farewell to their families, and they travelled here to Kesparate. The capital of the second republic, *lower octave* before it collapsed. The gleaming jewel, *lower octave* where everyone eats kibble. But who is this, why has an offworld priest of the Orthodox church come to the university? Ahh, it seems there is an extra interview stage this year. And what is that, anotherr fee? Oh I see, this time it's not a fee. This is a 'donation' to the church. It is entirely voluntary. Phew, well that's ok, some of these guys have saved up for years and then have funded the cost of travelling here too. That wouldn't be fair to ask for another large sum of money now would it. Oh I see, well poor students. Have you all brought some money. How much do you pay my priest anyway? *the priest speaks* only what you can afford .. that is everything you can afford .. mwahhahahaha! Oh no this student *grabs from the line up* has travelled from Criticorum, they only have enough money to pay their rent and buy .. kibble.. for a few days. Surely mr priest you don't want that money do you? 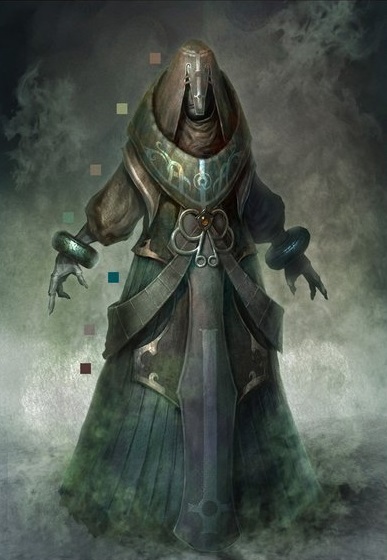 *the priest speaks* the pancreator will guide the way .. now give it all hear you greedy pauper! Well at least your in. Surely that's all this priest needs ..
*the priest interrupts* wait just one second young lady .. This little play pokes fun at a set of recent reforms which have granted the church a final interview with all students. They say that the interview is free, but they expect a 'donation' to the church of the celestial sun. Those who pay nothing are the first to be refused for allegedly the most petty of reasons. And the number of nobles, has increased so much so that the guild backed university barely has enough spaces for its potential guild membership. What has really caught the publics attention however are the numbers of minor mutations which have been brought out from behind closed doors. It seems everyone is a mutant these days. Unknown to the group but not critical and so it can be shared here, the church have failed several people because they understood too much, or were too clever. This is not known by the activists however. Also more than one noble has needed to be taught to read prior to his course starting. At the edges, where the stalls are there is smoke. Sirens start. And a troop of soldiers guard a genuine priest, although wearing unusual robes and with a retinue armed and armoured for battle. They look like veterans. The soldiers around the perimeter are from the Muster guild. The city police force in riot gear by the look of them. There is a brief pause. Just long enough for the priest to start speaking. "This BLASPHEMY, will end, NOW!" Then everyone started to panic. Sebastien noticed that the local armed police force were not prepared for the violence, but they were trapped between the fleeing crowd and the assault troops at the perimeter of the festival. The assault troops flew in over the smoke screen and formed a zone trapping the civilians. Those distant soldiers bore marking which nobody could identify. The group were lucky enough to find themselves all fleeing the same foe, and (should have been the random group who) happened to stumble first into an old elevator. A petite and pale girl, with bright red dreadlocks, probably a local, wearing goggles and wild clothing comprising several dangling chains and straps and things. She later introduced herself as Sofe. A very tall man in a white cropped t'shirt and white pantaloons, sandals and covered in bright coloured stripes in pink, green, cyan, red, yellow and blue. He is wearing a pink Stetson hat and carrying an old plastic carrier bag. He later introduced himself as Gunther. A young woman, sort of moody, wearing an old spacer's jacket which is slightly too big for her. She later introduced herself as Zoe. A man in a very stylish suit, business shoes and a handheld advisor comm. He seemed very sure of himself and confident. He later introduced himself as Sebastian. An older man, grim and serious. Wearing simple clothing and sandals and carrying a small knapsack. He later introduced himself as Theygan. About the elevator, Zoe noticed the old style Urthtech notice on the inside, above the door it read "MAX LD 250kg". As Sebastian keyed in a high number (the number 0 is the top floor of the old office building the group had found under the main stage), there was sudden lurch. A few seccond sof uncomfortable freefall, followed by a sudden jolt. At which point a metallic sounding female voice soothingly, but rapidly stated "Eleetech would like to thank you for purchasing the Eleetech elevator system safety upgrade. You will now be redirected to a gal-net site so you can see some other products which we feel you will be interested in." There was then a short pause before the voice stated "Warning: maintenance cover has expired." The machine then fell silent, while on the control panel a thousand error messages scrolled up the screen, all various versions of "connection not found". The elevator eventually came to rest on its back. Everyone was alive and well.